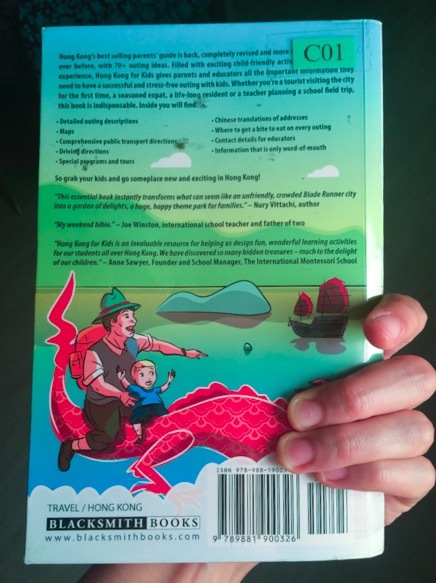 I discovered great titles at the Hong Kong Public Library – one of them is “Hong Kong for Kids – A Parent’s Guide“. 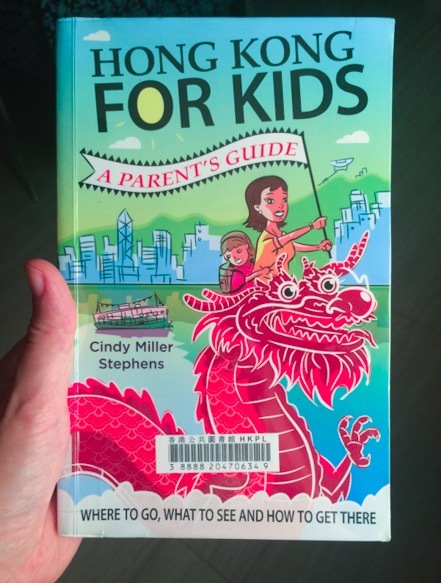 It is by Cindy Miller Stephens and she wrote it after she noticed that there was no such guide around, and she kept asking friends and mums about some recommendations on what to do with their kids. The book is grouped into different categories, which include child-friendly museums, parks & gardens, beaches, markets, amusement parks, family walks and much more. For each destination or activity you’ll find a written description that includes information about admission, how to get there, useful tips and info. The copy that I had picked up is from 2012, but there is a newer 2015 edition soon available at book stores (it will be published in August if I’m not mistaken), so you might prefer getting the more recent one. If not, then just make sure to check the Internet, maybe some sights have different opening hours – and for sure: higher prices. Some of her tips are the more ‘mainstream’ ones and locations that every tourist will probably visit (such as the Peak, Stanley Market, the Giant Buddha and Po Lin Monastery, Lamma Island, the markets in Kowloon, Ocean Park), others include some of my favourites (for example the Hong Kong Heritage Museum, Hong Kong Museum of Coastal Defence, Hong Kong Museum of History, Tai O) and then there are also some ‘off-the-beaten-track’ activities (including Paddle Boating at the Wong Nai Chung Reservoir Park, Lai Chi Kok Park, Noah’s Ark and Ma Wan Park, Fireboat Alexander Grantham, Hong Kong Wetland Park etc.). It is a great book and guide, not just for sunny days. There is plenty to choose form – and it will include something for everyone, including smaller and bigger kids. I think it’s a great guide, and I’m getting my own copy (so I don’t have to worry about renewing or borrowing it again). -> Just note that the links are to previous blog posts that I had written about these locations, they are not about Cindy’s tips. To find out more about her recommendations, check out the book at the Hong Kong Public Library or get yourself a copy! In case you are wondering, yes it is totally worth it – for kids of almost any age! I like this book a lot — and this despite my not having any kids! One note: Lavender Garden’s now closed, alas. That’s good to know, thanks for pointing this out!